This Saba Yacht 35m Motor Yacht is powered by two MTU Series 60 740hp diesel engines with ZF drive 3:1 live PTO off transmissions. 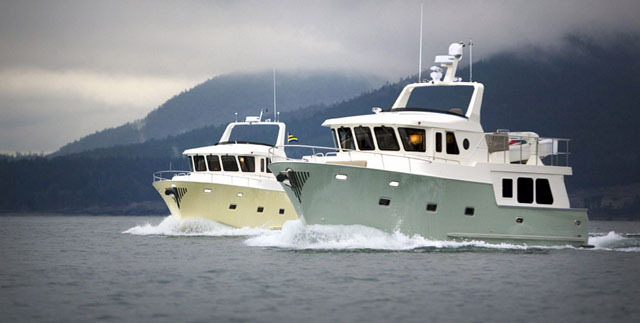 B-Nice offers a top speed of 13 knots and a cruising speed of 10 knots, with a range of over 4000 nautical miles. She features two custom designed and cast, 1100 mm diameter 4-blade bronze propellers, and two 100mm diameter stainless steel shafts. 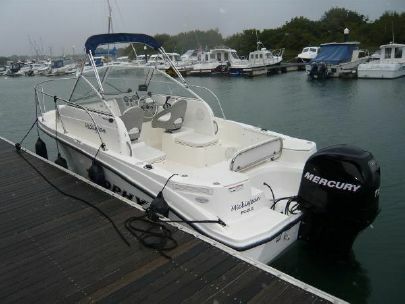 There are also four Trac 300/9x independent fin stabilisers and a Trac hydraulic 65hp bowthruster. Generators on this 35m Saba Yacht include two Onan 50kw generators and a further Onan 27.5kw generator. Additional mechanical equipment includes a SC 1500 235l/h watermaker, Yacht-Mate commercial water softener with Sterilight UV water sterilisation. 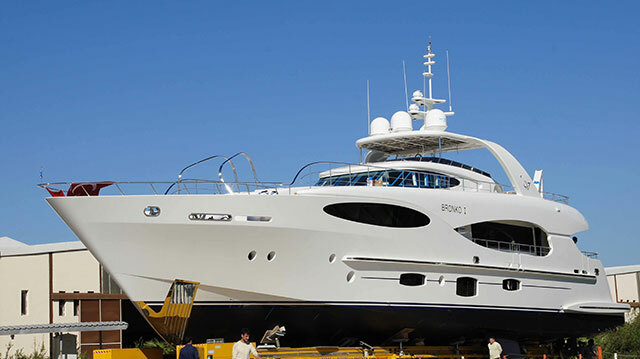 There is also a custom built MarineCold 440,000 BTU air conditioning system. The mechanical equipment on B-Nice is located in the easily accessible engine room on the accommodation deck. The engine room is fully ventilated with two Feit inlet/outlet fans/pumps. It is fully soundproofed and features two camera monitoring systems with detectors and alarms. Situated on the lower deck of this Saba Yacht Custom 35m Motor Yacht is the Accommodation Deck. Three queen sized VIP staterooms are located at midships, each featuring a dressing room and ensuite bathroom finished in natural marble with separate shower compartments. To aft, in front of the engine room, is a gym featuring a treadmill, exercise bike, weights, ab bench, massage table and a shower. Forward is a crew quarters including a crew mess with lounge area and galley, there are two double bunk crew cabins with ensuite bathrooms. At the forepeak there is a laundry room with linen cupboards. The engine room is also located on this level to aft, and there is also an electrical room with a workshop. Outside at the stern is the large swimming platform which also features a deck shower. The Main Deck on B-Nice offers a luxurious entertainment space. There is an outdoor lounge area boasting a fire pit and wet bar. Moving inside from the aft deck through large glass doors there is a spacious open plan lounge area, beautifully decorated, and with sofas and coffee tables, providing a space for guests to relax. 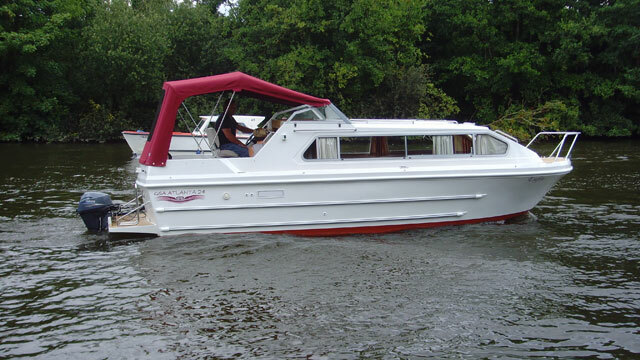 There is a bar at midships and forward of this is a large formal dining room with seats for up to ten guest. The galley can be found to starboard of the dining room and is equipped with an industrial specification and design steel and stone kitchen. There is also a pantry offering plentiful storage for supplies. Forward is a full-beam Captain's cabin which can also be used as an additional guest cabin, featuring a double berth, desk and ensuite bathroom. There is also a day head for guests on the Main Deck. Crew circulation stairs are provided to all three decks and there is a private elevator to the Owners' Deck. The Master Deck of this Saba Yacht features a large aft deck with an al fresco dining area. Inside is a huge Master Suite featuring a full beam master cabin with an ornate king size bed and matching sofa. There is a separate dressing room and a marble finished ensuite bathroom which boasts a Jacuzzi and shower. A master saloon provides a large U-shaped sofa and huge television cabinet with a home cinema. There is also a private owner's dining room. 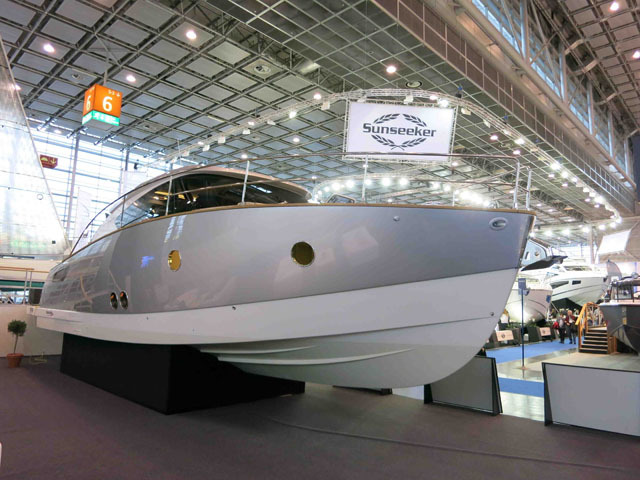 Forward is the full beam brigde/pilot house, featuring a helm position with uninterrupted views over the boat, a leather dash features all navigation instruments and screens. The helm wheel is a fully-functioning 120 year old antique! The Fly Deck of this Saba Yacht 35m Explorer Yacht is the ideal place to relax in the sun. There are multiple sun beds, sofas, a wet bar and an outdoor kitchen with refrigerator and barbecue. There is also a Tonga Spa/Jacuzzi with a hard cover. In addition there is radar arch providing communications and navigation, there is also storage for the tender and toys to aft with an hydraulic crane. The decks on board this Saba Yacht are finished in Burma teak and stainless steel, she is painted in Pearl Grey with a Standox Marine paint system.